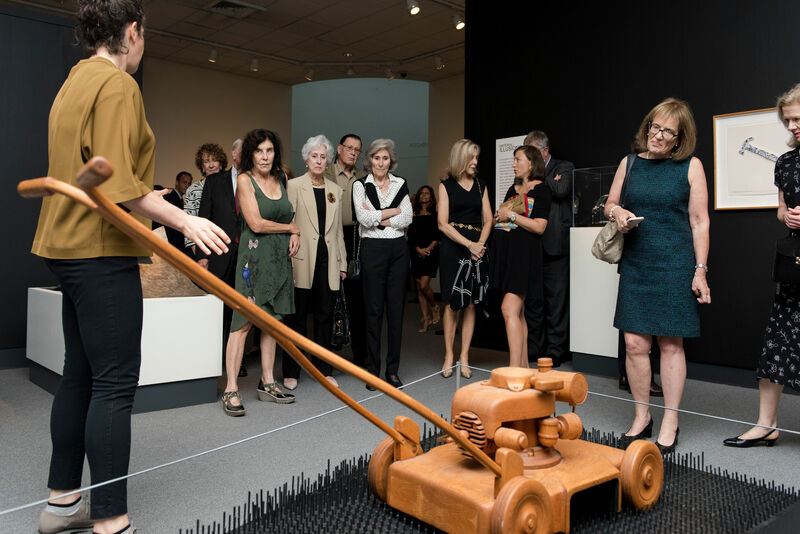 The Collectors Council offers unique opportunities to members of the Museum’s community who are new collectors, already developing a collection, or have a passion for the arts and would like to gain access to interesting and educational cultural experiences in a small group setting. The Collectors Council will meet a minimum of every other month to visit local private collections, special exhibition spaces, artists’ studios, and attend private behind-the-scenes tours at auction houses and galleries. Members of the Collectors Council will also have access to special curator-led or docent-led private tours of the Bruce’s major exhibitions. We will offer both daytime and evening events in order to accommodate varied schedules. Annual dues for the Collectors Council are $1,200 ($1,000 tax-deductible) and include a one-year Patron level membership. Participation on the Collectors Council is by invitation. Please contact Whitney Lucas Rosenberg, Director of Development and Institutional Advancement, at 203-413-6765 or wrosenberg@brucemuseum.org if you would like to receive further information.